The Cat GSH420 and GSH520 orange-peel grapples feature horizontal placement of the cylinders, thus creating a profile that allows for effective material penetration and efficient bulk-material handling. The Cat GSH420 and GSH520 orange-peel grapples, replacing the GSH15B Series grapples, are designed for a wide range of applications, including handling shredded scrap, such as long structural beams and car bodies; handling rocks at construction sites; and waste at recycling and transfer stations. 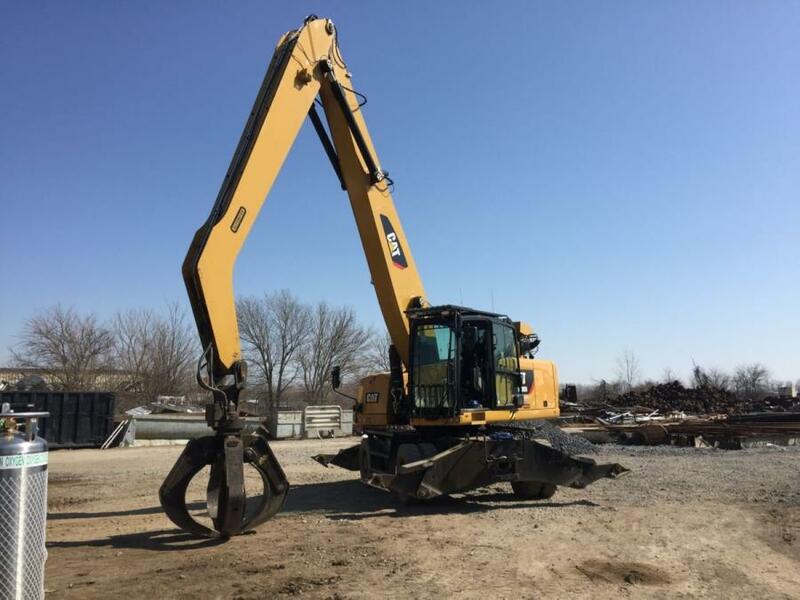 The performance and efficiency of the new Cat grapples help waste-handling operations, in particular, meet the challenges of increased environmental regulation, growing pressure to recycle a mix of materials, and stringent budgets. The grapples feature horizontal placement of the cylinders, thus creating a profile that allows for effective material penetration and efficient bulk-material handling. The design enhances the strength, reliability and durability of the grapples, which are available in four-tine and five-tine shell configurations and in closed or semi-open versions. In addition, the GSH420 and GSH520 feature a redesigned rotation system. The new grapples are designed to work with the Cat MH3022, MH3024, and MH3026 material handlers. The design of the GSH Series grapples features construction of high-grade, impact-resistant steel that protects vulnerable areas, such as hydraulic cylinders. For added durability, high-quality bushings with lubrication grooves and hardened pins are used in all pivot points. Tines are configured with replaceable cast tips made from BHN 445-555 material that resists wear. In addition, solid hinge-point construction and robust end-stops ensure long service life, and routing hydraulic hoses within the tines reduces hose wear. All mounting brackets feature a solid pin to keep the bracket in an upright position for ease of installation. Also, the new GSH grapples feature a standard lifting eye on the bottom of the housing for expanded versatility, such as mounting a magnet. The new HR10 rotation group, featuring a new swivel, significantly reduces hydraulic restriction by increasing return-flow capacity by 160 percent and by increasing open-flow capacity by 30 percent, according to the manufacturer. Less restriction results in faster cycles and lower fuel burn. Caterpillar supports its work tools with a comprehensive range of pre- and after-sales services, including advice about selection, operator training, equipment management, and a range of financial and insurance products.